Looking for the inner rider that you know exists? The one who is excited for the unknown, turns challenges into opportunities for growth, and enjoys riding on a much deeper level than ever before? The VIDA MTB Series focuses on making you a better rider through increased confidence and an improved understanding of the relationship between you and your bike. If you’ve been wanting to descend the steeps, tackle tight switchbacks with ease, learn how to catch air, or become confident on wooden bridges and stunts, join us and discover the rider that exists within you. VIDA literally translates to “life” and the VIDA MTB Series celebrates the entire lifestyle of women riders and supports them in all of their endeavors. 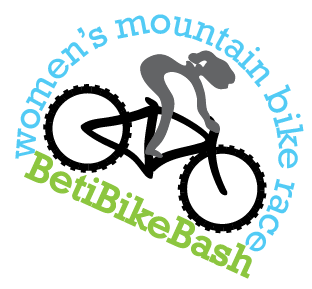 VIDA's mission is to foster a passion among women for mountain biking through the highest quality instruction, and to create a lifelong community of riders. We are focused on inspiring a movement that promotes cycling as a way of improving lives. We will achieve this by organizing events that communicate our philosophy and reflect our values, and thread together a network of ambassadors who share our passion on a deeper level in communities around the world. Whether you are new to the sport, or have been at it for years, every single woman has a place in the VIDA community, and we want YOU to be a part of it. We want YOU to share stories and help us write ours. We want YOU to reach your highest potential and inspire others to do the same. These women make up the fabric of our network; they work to thread women together from across the country, bringing them together for the simple love of riding bikes. Each one of them is unique and represents a different aspect of what it means to be a woman rider, but they are all alike in their passion for mountain biking and commitment to increasing the participation of women in our sport. We couldn't be more proud to have them on our team.